My heart sank as I glanced at my watch. 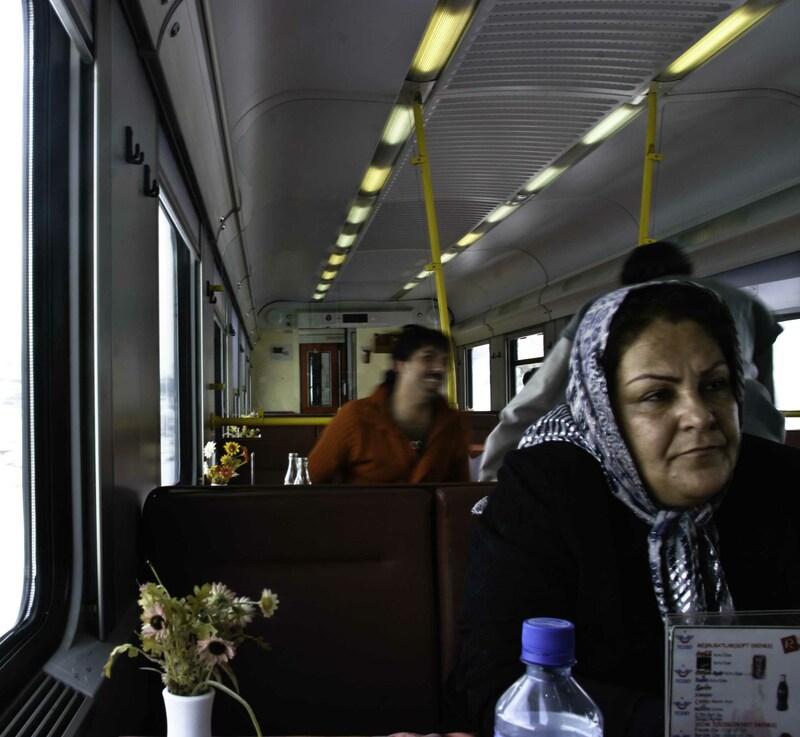 The Trans-Asia Express was due to depart from Tehran in 10 minutes and I could hear the axles grinding in preparation. The prospect of spending 72 solitary hours in an over-heated ladies compartment was highly depressing. Just as I was about to surrender all hope, the sliding door opened. An obese woman, sweating profusely, wheezed a loud “Salam” and dumped her bags and herself on the closest seat. Her daughter, a big-little girl with messy plaits and a mischievous grin, trundled in with a pink suitcase. An older woman with a stiff hip entered last. I beamed: now I had scenery AND dialogue. However my enthusiasm was soon to be dimmed by the possibility of arriving in Istanbul with a contagious disease. The young girl, Azine, was physically affectionate: she braided my hair and we played hand-slapping games as she sang that first night away in Farsi. I’d noticed some red spots on her face, which I presumed to be the early onset of puberty, but when she lifted her t-shirt to reveal a belly covered in scabs, I panicked. The sores looked a bit like measles, but I couldn’t be sure, as I lacked the necessary vocabulary in Farsi and a basic knowledge of diseases. I tried looking on the bright side – whatever it was didn’t seem to prevent Azine from having a good time… At least until her mother applied a brown, smelly ointment, which made her howl with resentment. My companions seemed perplexed by the fact that I’d spent a month holidaying alone in Iran. It was impossible to explain my motivations, as the number of words mutually understood was limited to around 30. However when Azine’s mother, Marayam, learnt that I was a (wannabe) journalist, she immediately called an English-speaking friend and handed me the phone. A high-pitched voice begged me to take the women to the United Nations and help them claim asylum. I was told that Azine’s father belonged to an opposition party and that he was currently hiding in the mountains. The older woman was described as a close friend of Marayam’s – she’d lost her job for wearing a headscarf incorrectly. When I tried to explain that the UN was in Ankara (a fact they were hitherto unaware of) and that I was due to catch a plane home from Istanbul, Marayam burst into tears. We retired to our bunks early that night, but sleep came much later. I was surprised to find the restaurant cart almost deserted. Though the food was ordinary, it was immaculate and contained some admirable finishing touches, such as the flower vases bolted onto every swaying table. I chewed my flatbread slowly and watched a couple of old men play cards in the far corner. Whilst passing a remote village that was clearly absorbed in confronting the hardships of winter, an attractive young woman entered the restaurant and headed straight towards me. 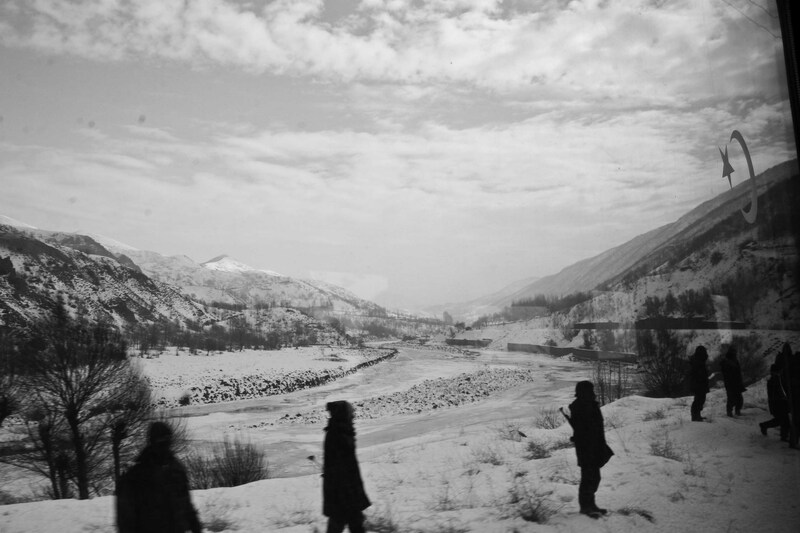 The train arrived at the border with Turkey in the late afternoon. Soldiers clad in black scuttled about in the snow, shouting directions at one another with frosted breath. 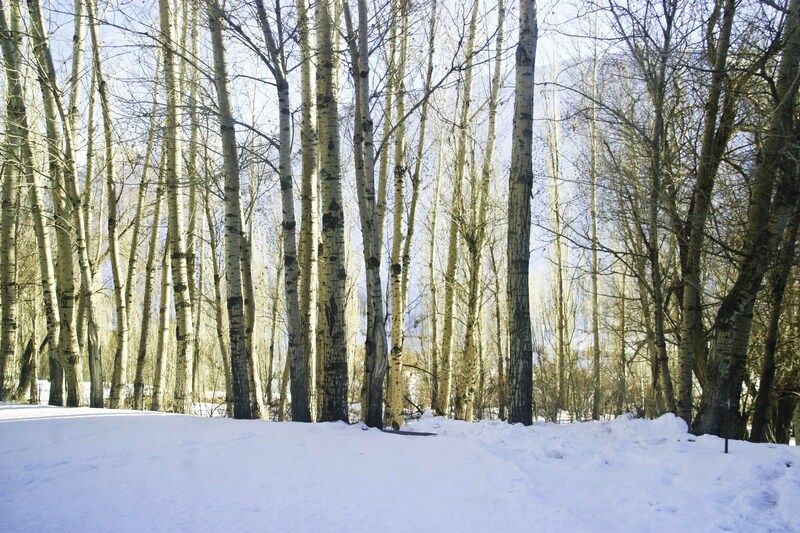 Weak rays of sunlight glinted through the forest’s bare branches – it was the prettiest border area I’d ever visited. It also felt the most informal, as our departure stamps were issued in the warm comfort of the refreshment cart. While waiting for my name to be called, I asked the man sitting opposite if I could flip through his passport, and he willingly obliged. I told him that I was from Australia, but it didn’t seem to register. An hour or so later, while queuing for the toilet, he approached me nervously, before proceeding to stumble through a note scrawled in the margins of a newspaper. He handed me a can of orange soft drink and then, to my surprise, said “Liquor?” I smiled wanly, shaking my head. We reached customs shortly afterwards, and spent three hours in a waiting room as police searched the train. For the rest of the journey, my “toilet Romeo” took every opportunity to stare at me with imploring, mournful eyes. I eventually told him to quit it, but in the end it was only our physical separation that deterred him. The 3,000 kilometre journey costs only £30 and involves crossing Lake Van by ferry, which I felt certain would be a highlight. But by boarding the vessel shortly after midnight, photo opportunities were reduced to nil. I proceeded to fall asleep on a row of plastic chairs, and didn’t wake up until the last few passengers were filing off. Over four hours, I’d caught 20 minutes of a Turkish game show being broadcast on the kiosk’s television, yet not so much as a glance of the reportedly majestic lake. I made a note to self to sleep when I’m dead. The Turkish train was slightly more impressive in appearance and it had several empty compartments. After roughly 40 hours, the prospect of night-time solitude had grown more appealing than its alternative, so I collapsed into one of my own. After a blissfully uninterrupted sleep, I momentarily lost my breath when I pulled up the blinds around lunchtime. Seconds passed, and my eyes still couldn’t focus. There was seemingly no foreground, background, horizon or sky: dazzling white snow made each indistinguishable. I shook my head and went for a wash; a daily ritual that took place in the toilet and utilised a half-litre bucket and deliciously hot tap water. There’s no denying that it took a long time, but I had plenty of that to squander. The sight of my wet hair provoked friendly teasing from the Iranians, who remained loyal to more dignified forms of bathing. I was rested and cheerful, and gratefully accepted an invitation to chat in the compartment with the family and dog bound for Canada. Another invitation followed, then another. Somehow, 10 hours passed before I returned to my own compartment. I’d been stuffed with delicious tea and homemade snacks, including a sweet resembling a blonde wig. But I was distressed by much of what I’d heard that day. It dawned on me that the once-weekly train service is something of a life-line to those in need of a new home. Suffice to say, I met only two people on holiday. Despite being alone when I fell asleep on the third and final night, I woke in the morning to discover two others. I glared at the strangers from the top bunk, focusing hard on the one with my over-sized toiletries bag in his hand. I snatched it back and they darted out into the corridor. It was pointless trying to confront them after changing out of my pyjamas, as they could be hiding in any one of 50-odd compartments. What troubled me most was feeling certain that I’d locked the door in my typically obsessive-compulsive fashion. I tried absorbing the beauty of a frozen river and rugged mountains, but I was anxious about leaving my luggage in my compartment if I wasn’t there to protect it. So rather than spending my last day alone, I hauled my bags into a compartment beside a couple I’d grown very fond of. The morning’s mystery was inadvertently solved an hour before reaching Istanbul. While attempting to nap, I heard a key turn in my door. I pulled back the curtains and recognised one of the intruders. He vanished, but I darted after him. A Kurdish passenger translated an explanation that left me speechless. The intruder was a conductor. A bag had been reported missing and its owner had requested him to enter my room using his master key. He was about to enter again to check if I was disembarking before Istanbul. He shrugged and walked away. Incidentally, that strangely beloved bag was stolen two years later, while moving house in Bangladesh. The blue skies of the Middle East felt far behind: it was pouring with rain as the Trans-Asia Express rolled into Istanbul’s grand Haydarpasa Railway Station. We were seven hours late, bringing the total journey to a tidy 80 hours. I narrowly made it onto the last ferry of the night, and disembarked on the European shore of the Bosphorus River. Whilst the experience hadn’t been the carefree, Hafez-sing-a-long journey I’d expected, it had provided a humbling reminder. For people such as myself, long-distance train rides are imbued with a particular romance and the opportunity to absorb beautiful and exotic scenery. But for others, the journey itself remains vastly more important. I was filling up my water bottle around midnight on Eid eve when the entire filter started to shake. The ten litres of water I was staring at turned into a stormy sea for a few long seconds. Uh oh, I’d thought, not again. A few months back, while watching a World Cup match on a friend’s couch, I first experienced the strange sensation of movement caused by (very big) rocks breaking against one another underground. Cat and I jumped around like hyenas for the next half hour, wondering whether a bigger earthquake was about to follow. Needless to say, it wasn’t a great feeling. Commentators forecast that the next quake to hit densely populated Dhaka, which sits along fault lines, could be much, much worse. None of the earthquakes in recent years have exceeded a magnitude of 5.4 on the Richter scale, which places them in the category of ‘slight’ to ‘moderate.’ Between 1869 and 1930, five earthquakes with a magnitude of 7 or higher affected Bangladesh; two of the epicentres were inside Bangladesh. According to Wikipedia and others, earthquakes with a magnitude higher than 5.6 occur approximately every 100 years. The maths is scary. 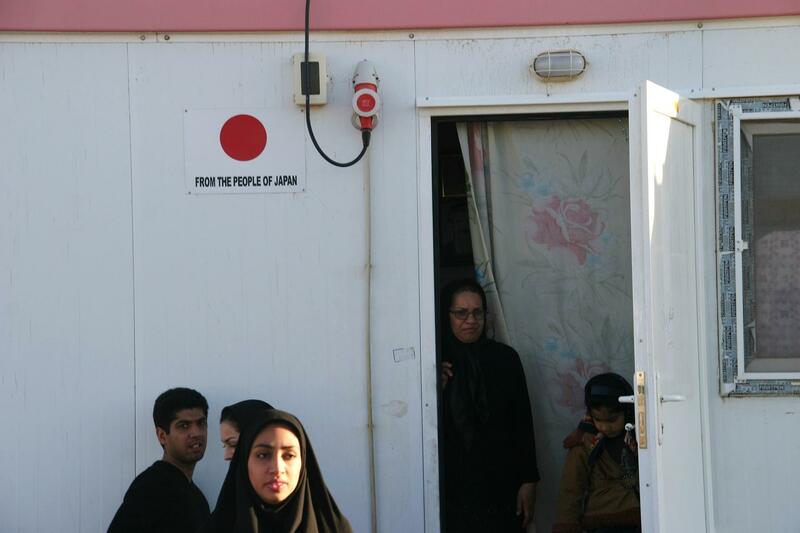 Thousands of people in Bam, Iran, are still living in temporary accommodation that was set up after an earthquake struck the historic city in 2003. The earthquake had a magnitude of 6.6 and a death toll of 26,000 people, and it injured a further 30,000 people. Perhaps scarier still are newspaper reports stating that the majority of buildings in Dhaka (and indeed the rest of the nation) are not earthquake proof and that hospitals are unprepared for such a calamity. Professor Kazi Matin Ahmed told BD Can that, “Dhaka is the second most risky city [for mass damage caused by earthquakes] after Tehran because of unplanned urbanisation, which is very inadequate.” Interestingly, the level of fear is so high in Iran that the government has actually held talks about whether to move the capital altogether and has forced some government officials to leave the city. Though conspiracy theories surround the mere suggestion, it’s not difficult to understand that the logistical nightmare involved in moving eight million people is preferable to repeating a tragic history that continues to repeat itself. Most recently, in 2003, more than 30,000 people died when an earthquake hit the eastern city of Bam, which is close to the border with Afghanistan. I visited the city in 2009 – six years later – and thousands were still living in the very basic shelters shown on the left. They were donated from Japan. I don’t want to carry on using this tone of doom and gloom, and I hope you’ve not reached the point where you feel that there’s not much you can do about anything. Because there is something small, yet practical, that we can do: pack an earthquake bag. According to Khurshid Alam, a natural disaster and climate change expert, packing an earthquake bag would be a “big asset.” He told me that emergency bags should be packed according to the specific context, that is, the specific disaster being apprehended. 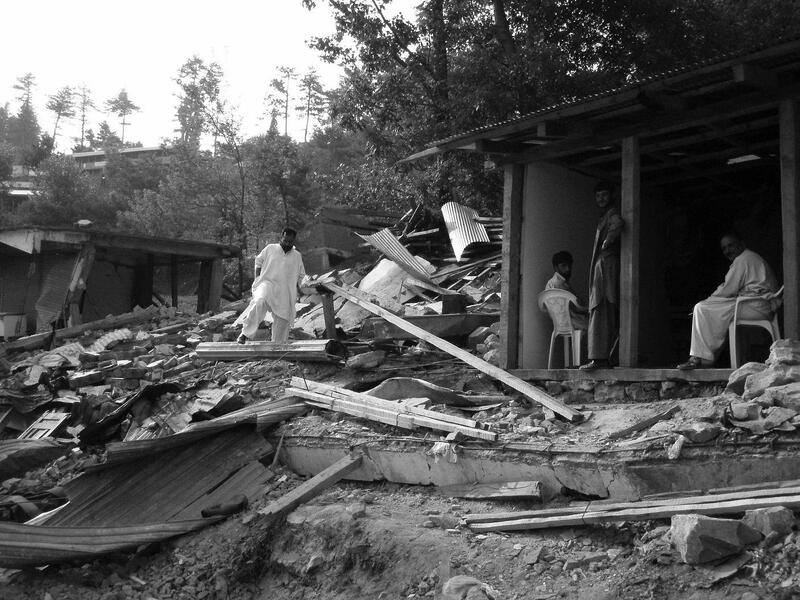 An earthquake in Pakistan-administered Kashmir in 2005 (magnitude 7.6) killed nearly 80,000 people. This picture was taken two years later. Khurshid said, “If you live in an earthquake-prone area, you may need certain kinds of things that you can use to stop bleeding. If it’s a flood context, you may not have the same kinds of fractures or injuries. Cyclones typically cause multiple injuries from flying debris.” As emergency services could be delayed for days or even weeks, having some of your own supplies could prove extremely handy. I’ve trawled the internet to find tips specifically for earthquakes, and below is a list of items that may be useful. 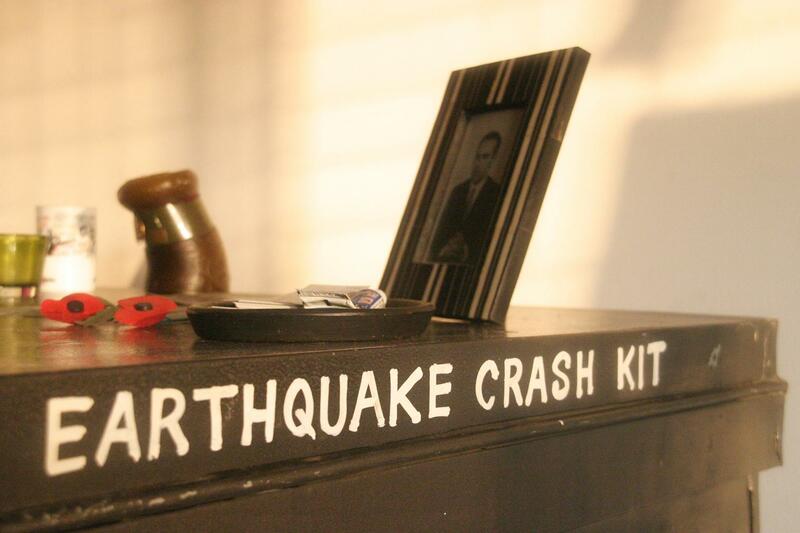 Once the earthquake bag is packed, keep it in a cupboard. It’s advised to store it somewhere close to the front door, so that you can grab it quickly if you leave your home. Oral saline and as much water in bottles as possible. Humans can last 30 days without food but only three days without water. Non-perishable food – cans are best and don’t forget the can opener. Don’t pack sugary foods that will make you thirsty. A strong implement – you may need to make your way through debris to find family members. If you are living with children or the elderly, consider their specific needs. It might be a good idea to pack a few toys if there’s room. Rotate the food and water supplies every few months – mark the calendar.